Wichard Captive Pin - TOP 10 Results for Price Compare - Wichard Captive Pin Information for April 20, 2019. 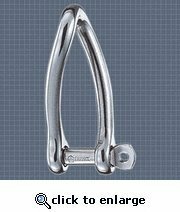 Product Type Wichard Stainless Steel Captive Long Twisted Shackle With Self-Locking Pin - Size: 1/4" - Model # WIC-1423 - Interior Length (A): 1 3/4" - Interior Width (B): 15/32" - Pin Diameter: 1/4" - Safe Working Load: 1,655 lbs - Breaking Load: 4,630 lbs. - Material: 316L S.S. 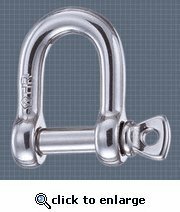 Product Type: Wichard Stainless Steel Captive Pin Long Twisted Shackle With Self-Locking Pin - Size: 3/16" - Model # WIC-1422 - Interior Length (A): 1 15/32" - Interior Width (B): 13/32" - Pin Diameter: 3/16" - Safe Working Load: 1,320 lbs. - Breaking Load: 3,310 lbs - Material: 316L S.S. 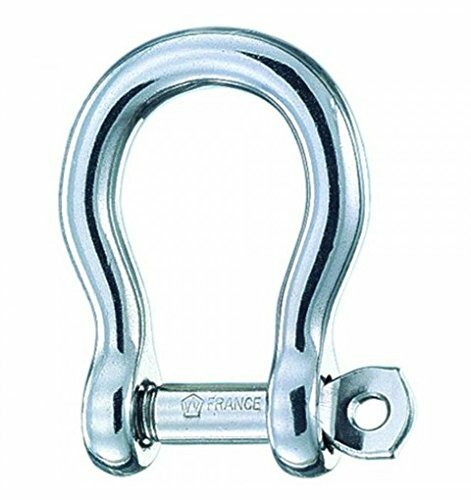 Product Type: Wichard Stainless Steel Captive Pin Bow Shackle With Self-Locking Pin - Size: 5/32" - Model # WIC-1441 - Interior Length (A): 11/16" - Interior Width (B): 5/16" - Pin Diameter: 5/32" - Safe Working Load: 880 lbs. - Breaking Load: 2,200 lbs. - Material: 316L S.S. 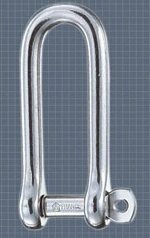 Product Type: Wichard Stainless Steel Captive Pin Long "D" Shackle With Self-Locking Pin - Size: 5/32" - Model # WIC-1411 - Interior Length: 1 7/32" - Interior Width: 5/16" - Pin Diameter: 5/32" - Safe Working Load: 880 lbs. - Breaking Load: 2,200 lbs. - Material: 316L S.S. 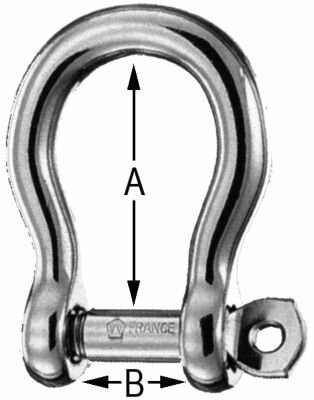 Product Type: Wichard Stainless Steel Captive Pin "D" Shackle - Size: 5/32" - Model # WIC-1401 - Interior Length (A): 1/2" - Interior Width (B): 5/16" - Pin Diameter: 5/32" - Material: 316L S.S. - Safe Working Load: 880 lbs. - Breaking Load: 2,200 lbs. 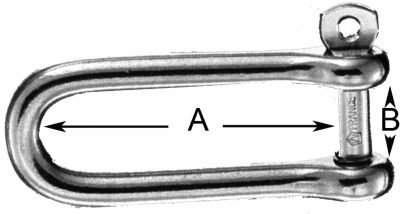 Product Type: Wichard Stainless Steel Captive Pin Long "D" Shackle With Self-Locking Pin - Size: 3/16" - Model # WIC-1412 - Interior Length (A): 1 17/32" - Interior Width (B): 13/32" - Pin Diameter: 3/16" - Safe Working Load: 1,320 lbs. - Breaking Load: 3,300 lbs. - Material: 316 S.S.
Shackle Option: 5/32" Pin Size - Model # WIC-1401 - Interior Length (A): 1/2" - Interior Width (B): 5/16" - Pin Diameter: 5/32" - Material: 316L S.S. - Safe Working Load: 880 lbs. - Breaking Load: 2,200 lbs. 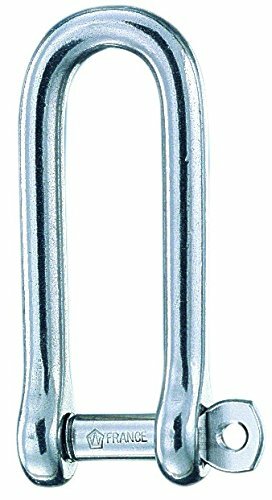 Product Type: Wichard Stainless Steel Captive Pin Long "D" Shackle With Self-Locking Pin - Size: 1/4" - Model # WIC-1413 - Interior Length (A): 1 13/16" - Interior Width (B): 15/32" - Pin Diameter: 1/4" - Safe Working Load: 1,870 lbs. - Breaking Load: 4,850 lbs. - Material: 316 S.S. Product Type: Wichard Stainless Steel Captive Pin Long "D" Shackle With Self-Locking Pin - Size: 13/32" - Model # WIC-1415 - Interior Length (A): 3 1/16" - Interior Width (B): 25/32" - Pin Diameter: 13/32" - Safe Working Load: 4,190 lbs. - Breaking Load: 11,500 lbs. - Material: 316 S.S.
Don't satisfied with search results? Try to more related search from users who also looking for Wichard Captive Pin: Scag Ignition Switch, Wide Brass Plated, Small Kittens, S-Video Matrix Switcher, Side Replacement Mirror Glass. Wichard Captive Pin - Video Review.